IFTTT (short for “If This Then That”) is a popular service which lets you trigger actions based on certain events that occur around the Internet. It is missing an important functionality (IMHO), namely WebHooks. A WebHook is an HTTP callback: an HTTP POST that occurs when something happens; a simple event-notification via HTTP POST. 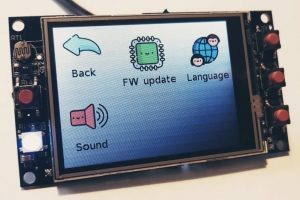 I explain this missing functionality with their business model as they make money from the vendors that want their products connected there. Such functionality has been requested for ages now, but won’t be made available anytime soon, in my view. There is a nice workaround though (shhh), a webhook middleware for the IFTTT service, made possible by simulating a WordPress blog channel. 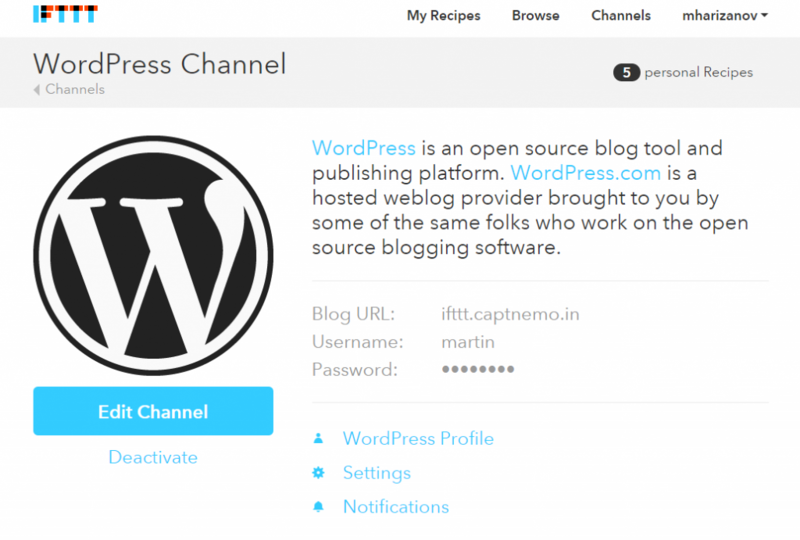 IFTTT uses wordpress-xmlrpc to communicate with the WordPress blog. It presents a fake-xmlrpc interface to the web address, which causes IFTTT to be fooled into thinking of this as a genuine WordPress blog. The only action that IFTTT allows for WordPress is posting, which is used for powering WebHooks. All the other fields (title, categories) are passed along by the WebHook. 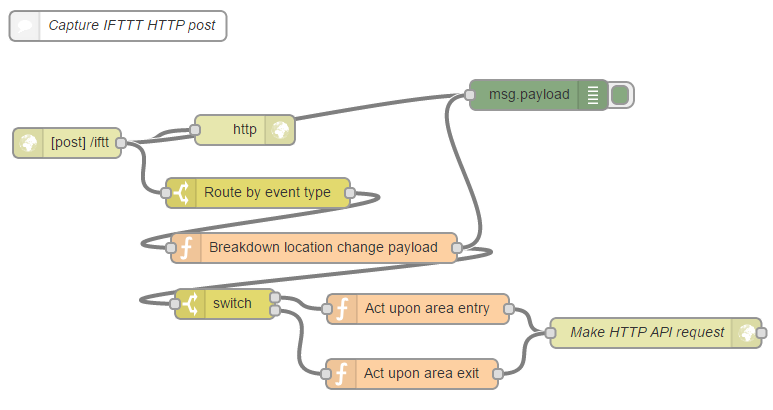 The recipe basically says that if I enter or leave the outlined area, IFTTT should make an HTTP POST to my home automation system running Node-RED. That could be even simpler, for example making an HTTP API POST to switch on / off my WiFi connected relay board for example, but let’s make it fancier. The real world is more complex than “If This Then That” and this is the weakest point of IFTTT. Without some scripting and more complex conditions, it is just an eye-candy service for newbies. For example, I’d like to switch Internet-connected thermostat on or off based on my and wife’s location. If both of us aren’t at home (more than 1 km away), we could decrease room thermostats by couple degrees; Upon re-entering the geofenced area, the thermostats could be turned up. If both of us are more than 50km away from home, thermostats and heating/cooling can be switched off completely. This sort of conditions can only be triggered by more complex logic, and this is where Node-RED comes in. The flow can be extended to act upon different incoming triggers, those need to be set in the ‘category’ property so it can differentiate and apply different rules. In conclusion, while I am mostly negative about IFTTT, it can be used to easily interface with other connected things. So do you think it’s better to use IFTTT or Tasker ? Both apps can do the same things, no ?